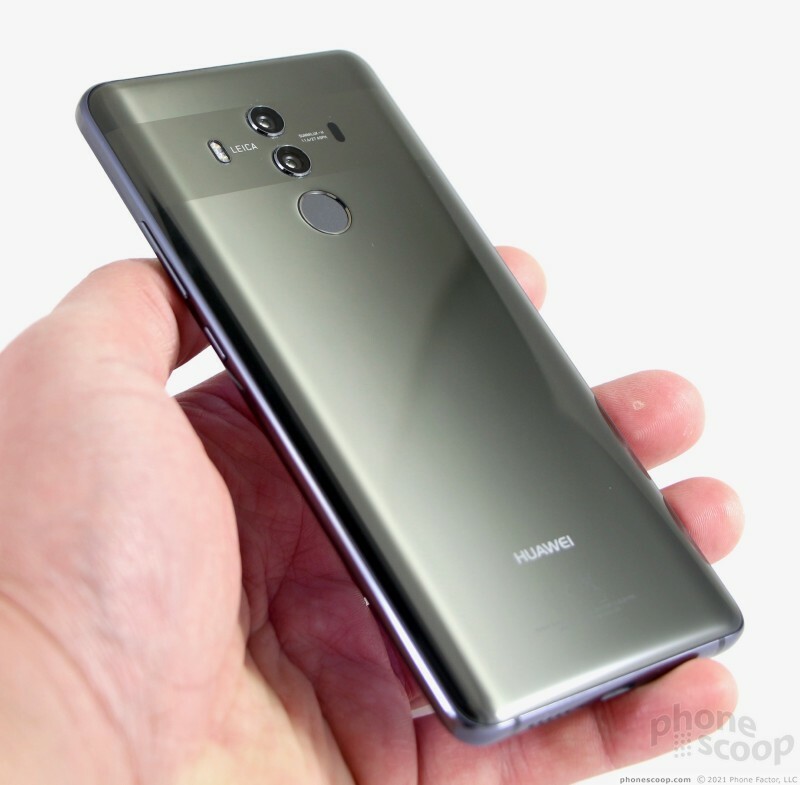 Huawei is targeting Apple, Samsung, and LG with its latest flagship handset, the Mate 10 Pro. This high-quality device features classy hardware, top specs, and must-have tools. The phone includes twin cameras for extra photography firepower, and makes the jump to the 18:9 aspect ratio for the display. With Android 8 Oreo and EMUI 8 from Huawei aboard, the Mate 10 Pro packs a serious software punch. 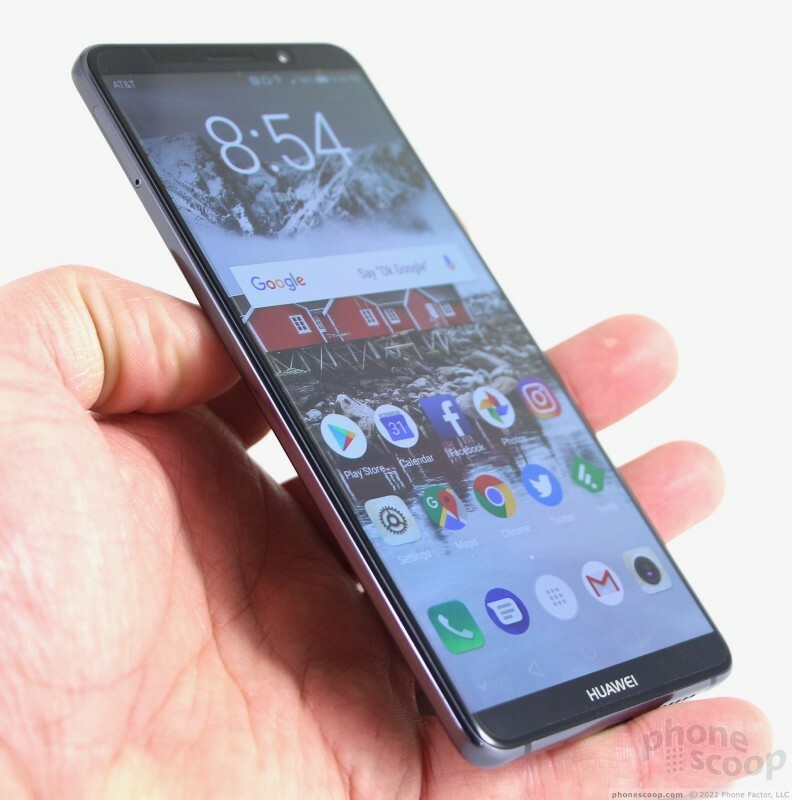 Here is Phone Scoop's full review. The Mate 10 Pro is a classy, big-screened flagship device from Huawei. 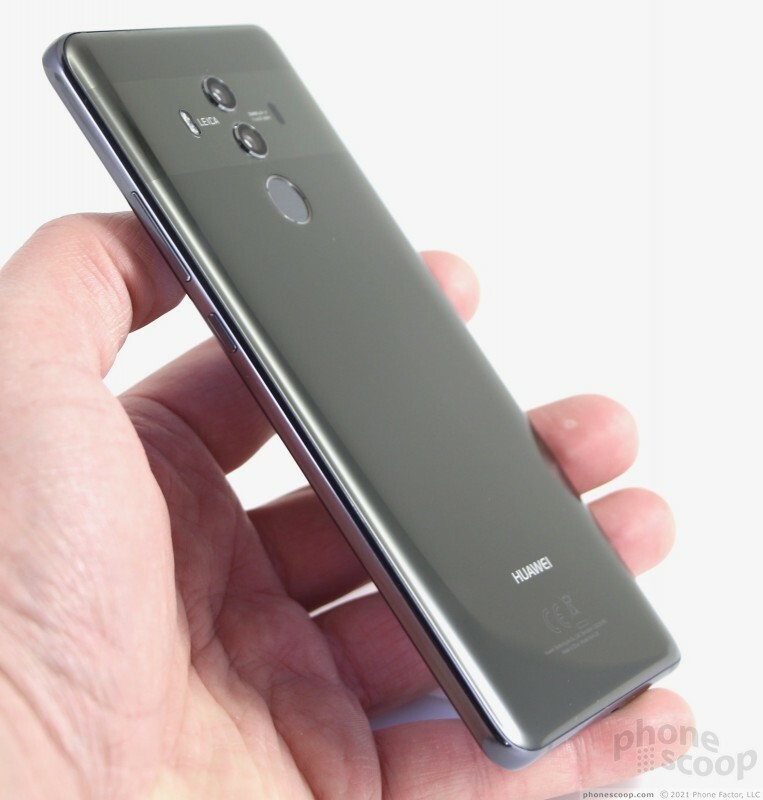 If you're in the market for an unlocked smartphone and require superior battery performance and enterprise-grade software tools, the Mate 10 Pro is a fine alternative to devices such as the Galaxy Note8. 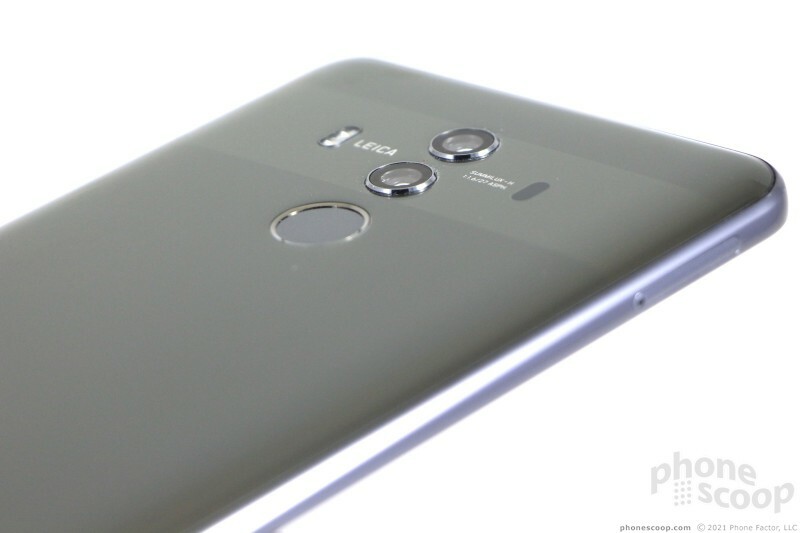 Huawei designed a modern marvel in the Mate 10 Pro. 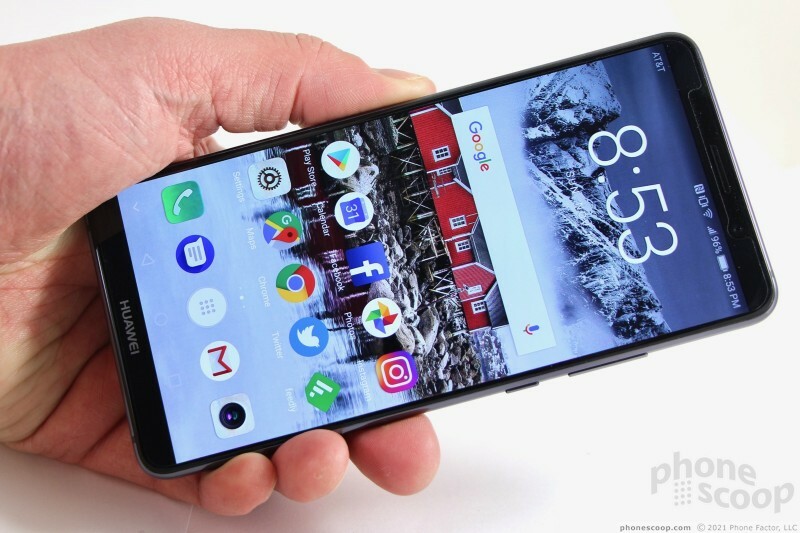 The device sheds the heavy metal skin of last year's Mate 9 flagship for a sleek, glass enclosure that ups the wow factor significantly. This brings the Mate 10 Pro in line with the competition. That's a good thing for consumers, who've never had a better selection of top tier devices. Curved glass covers the front and back of the Mate 10 Pro. A wraparound metal frame forms the central chassis and separates the two glass panes. The rear glass plate is particularly nice. It features gentle curves, a lustrous finish, and a perfectly smooth texture. The metal frame is painted to match the glass. The frame's edges curve in just a hair to meet the rounded glass edges. The result is a seamless feel; your hand can hardly tell where the glass ends and the metal begins. The shape of the phone is slightly generic, maybe a bit too safe. Our review unit is a handsome-yet-conservative charcoal gray. The phone also comes in a copper tone and a blue hue if you want a bit more personality in your pocket. 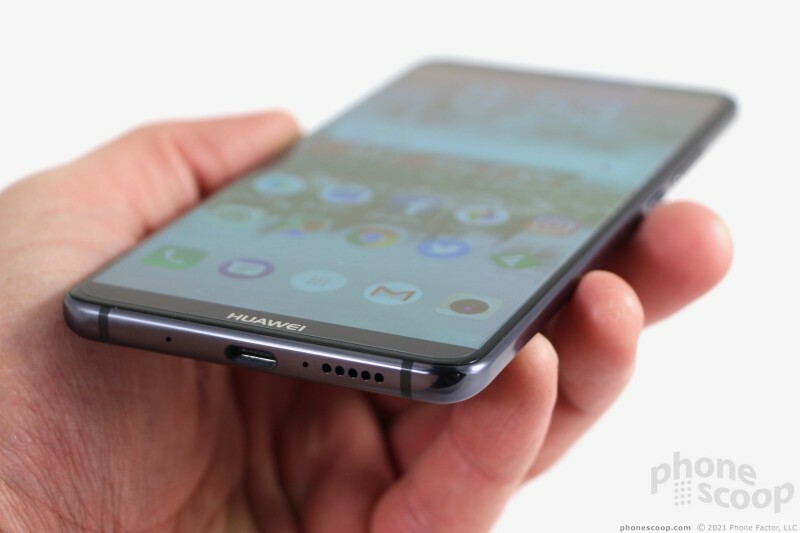 Huawei did a good job keeping the size in check, all things considered. The Mate 10 Pro has a 6-inch 2:1 display — just like the Pixel 2 XL — yet it's noticeably shorter and narrower than Google's phone. 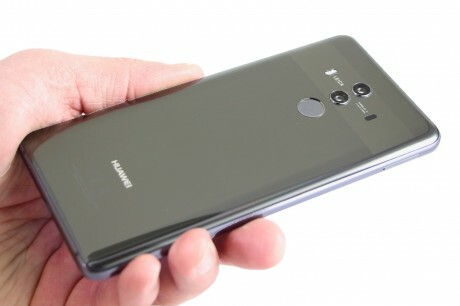 The Mate 10 Pro is much shorter than the Note8, though that device has a slightly bigger screen. 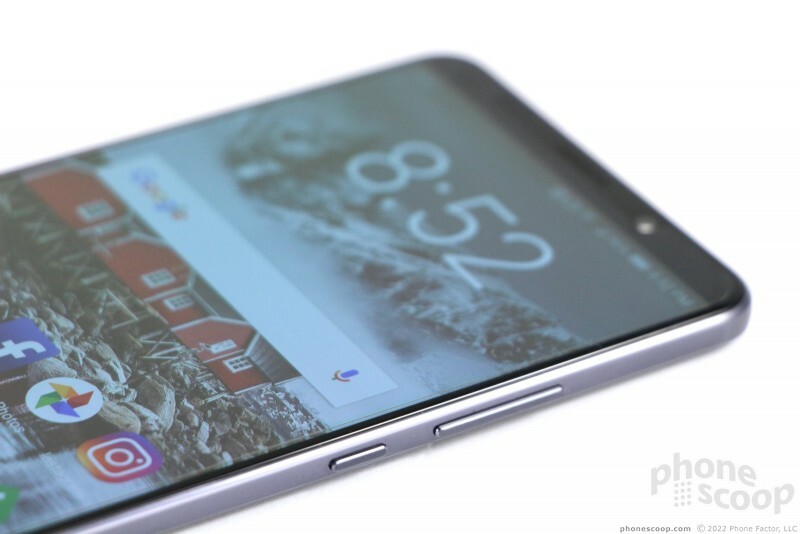 The 10 Pro's 2:1 display aspect ratio means the phone has the tall, narrow look common to other phones with the same shaped screen. 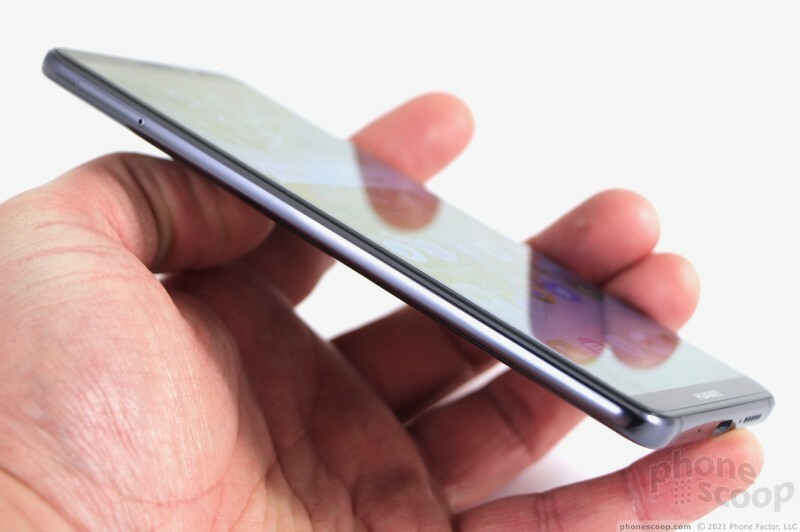 People with small hands may find it too big; there's no doubt the 10 Pro is a two-handed phone. But I found the Mate 10 Pro much more comfortable to carry and use over the course of the day than the Pixel 2 XL or Note8. The smooth, rounded shape makes the phone a breeze to drop into and pull out of your jeans. The materials and build quality are top-notch. All the pieces are fitted together tightly. Double-sided glass devices do double the destruction factor; I'd hate to drop this phone. 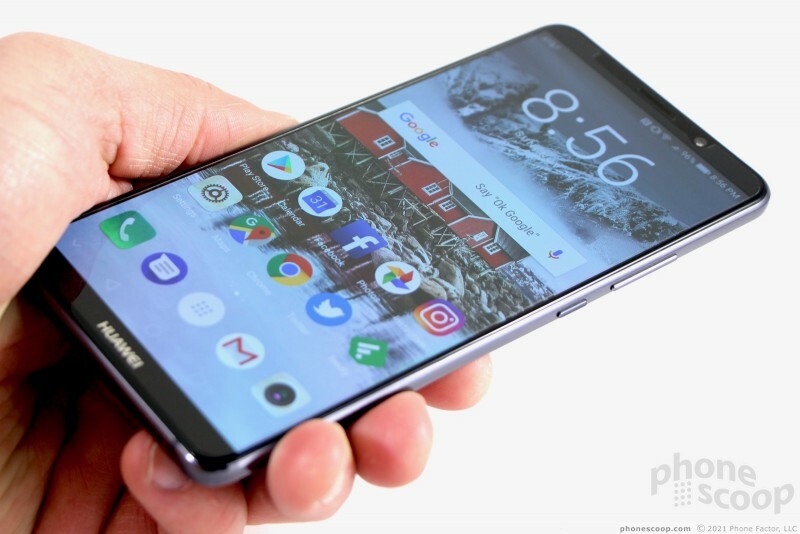 Gorilla Glass may be protecting both sides, but the Mate 10 Pro is not rugged in any sense of the word and is begging for a case. A thin silicone cover ships with the phone. I'd put it on if I were you. 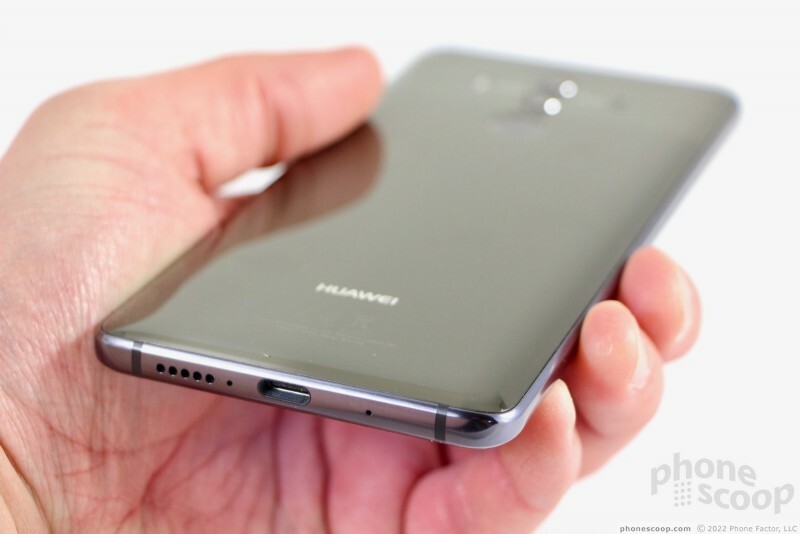 Huawei did a fine job eliminating the bezels. The Mate 10 Pro's display fills the majority of the phone's face, giving the phone an all-screen look. 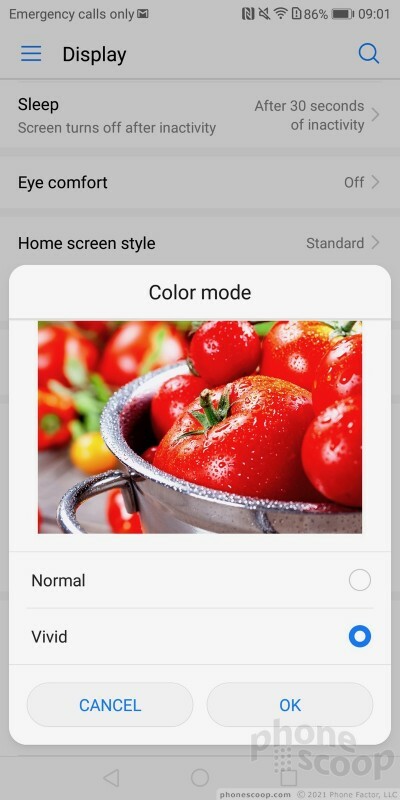 (The regular Mate 10 has a 16:9 display.) 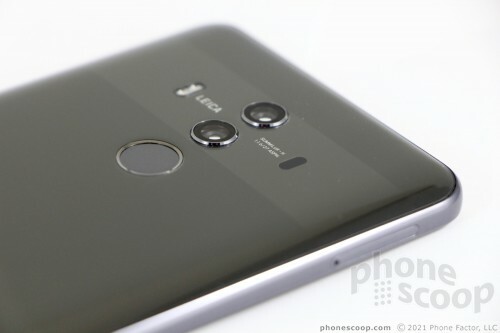 The forehead and chin of the 10 Pro are kept to the bare minimum. 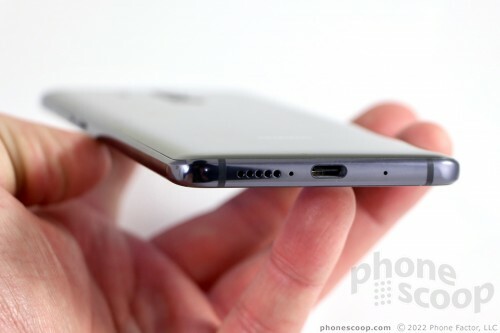 There's barely room for the earpiece speaker and user-facing camera above the screen. 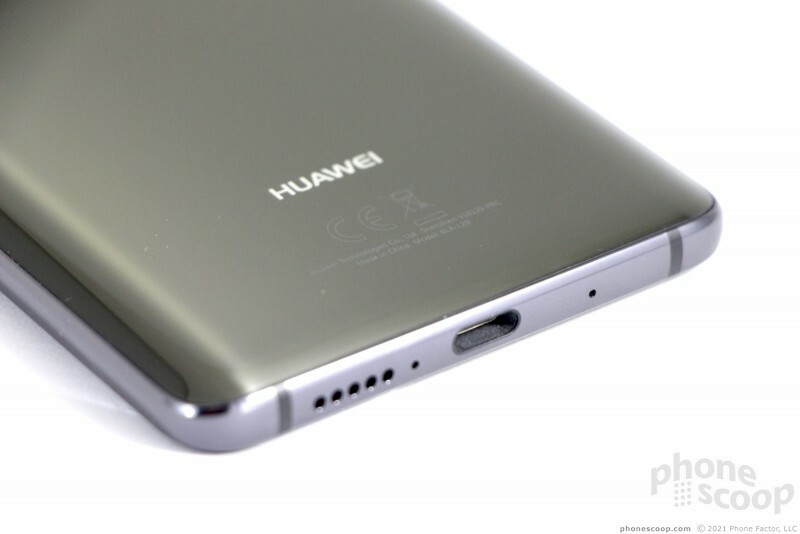 Huawei somehow crammed its logo in the sliver of bezel forming the chin. There are no physical or capacitive controls to speak of, as the phone makes use of on-screen buttons. 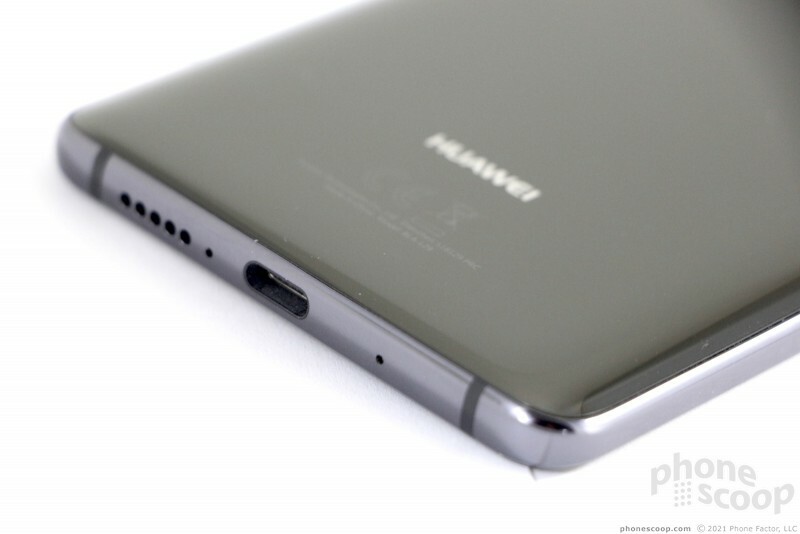 Huawei placed the screen lock button and volume toggle on the right edge. 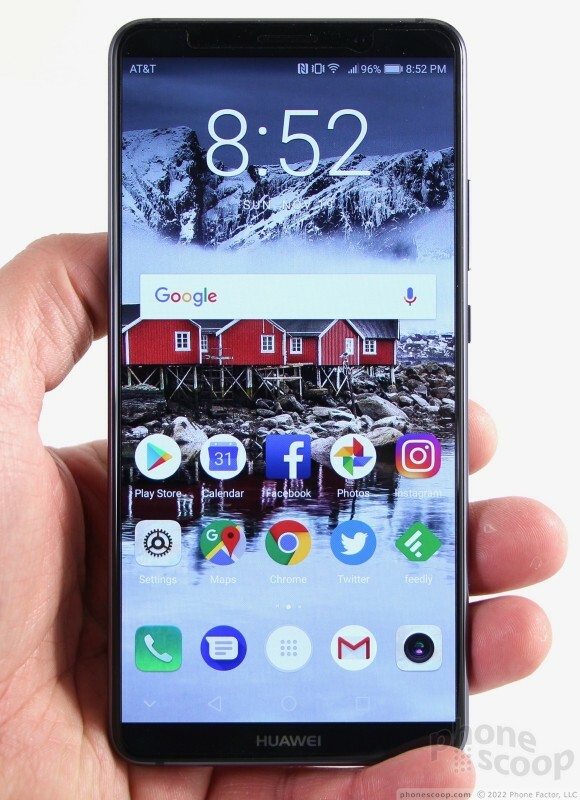 The screen lock key is a bit small, but it has a ribbed texture and an excellent profile. Travel and feedback are great. The volume toggle has a smooth texture, a pleasing profile, and fine travel and feedback. The SIM card tray is the only functional element found on the phone's left edge. The Mate 10 Pro supports two SIM cards, but — oddly — not memory cards. The tray is nice and solid. 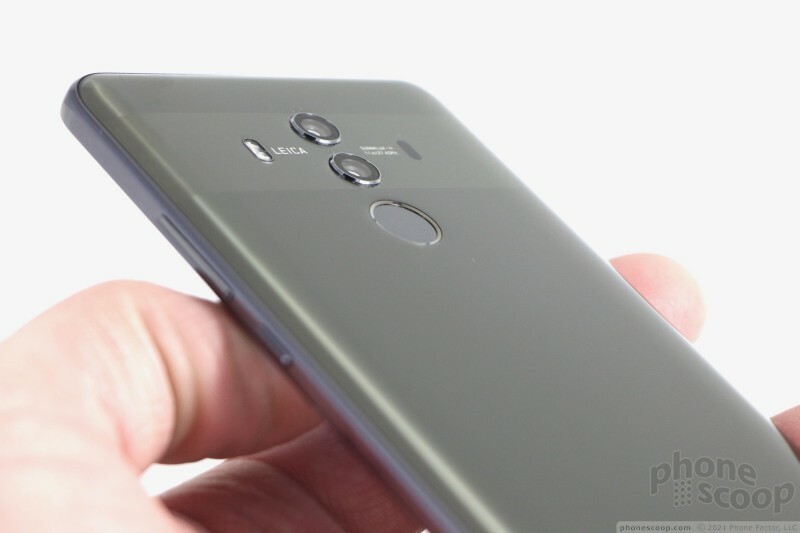 The Mate 10 Pro's top and bottom edges reflect some interesting decision-making on Huawei's part. First, you'll easily notice an IR blaster on the top edge. This was a hot feature on smartphones a few years ago, but then it disappeared. Huawei says customers asked for it, so it brought the IR blaster back. You can use it to control your home theater equipment. It works fine. The Mate 10 Pro relies on USB-C for charging. The port is placed on the bottom. You see five holes drilled into the bottom edge denoting the speaker's location. The 10 Pro loses the headphone jack found on the standard Mate 10. 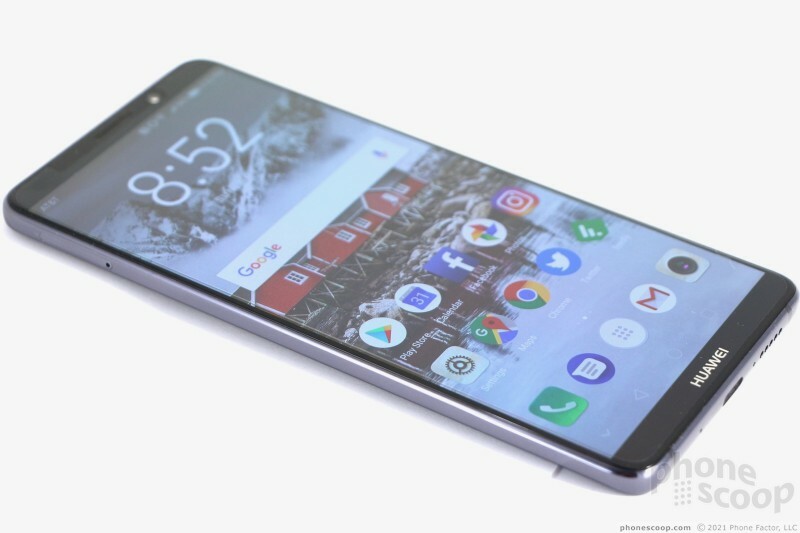 The reason, says Huawei, was to make the 10 Pro water resistant. The 10 Pro has an IP67 rating, which means it can sit in up to 1 meter of water for up to 30 minutes. I plopped it in my sink for a while and found it handles the dunking just fine. 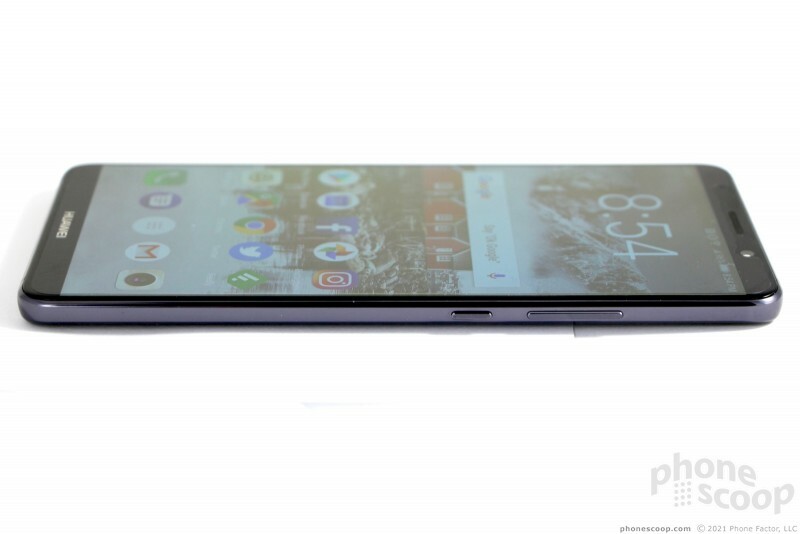 The standard Mate 10 is not water resistant, but it has a headphone jack. Pick your priorities, I guess. 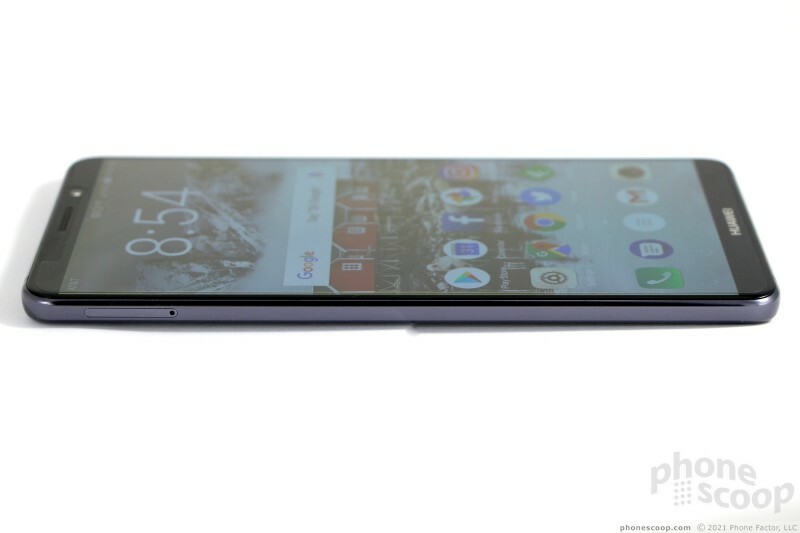 Glass stretches from corner to corner across the Mate 10 Pro's rear panel. It's one of the classier glass panels I've seen on a phone this year, on par with that of the sultry LG V30. 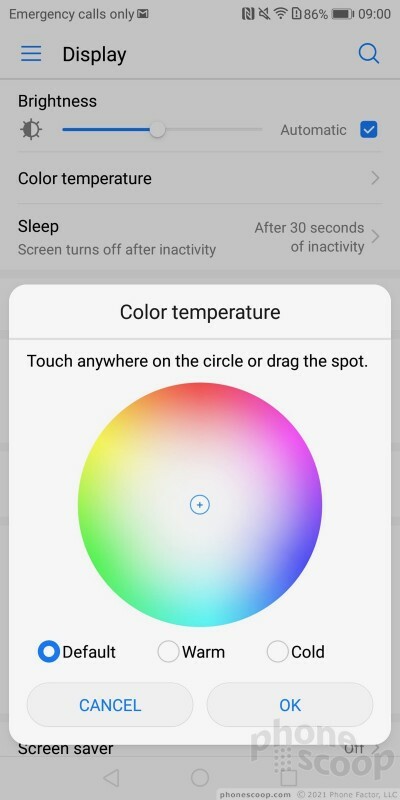 The majority of the glass is one shade, but Huawei created a subtle band in the coloring around the camera module. It helps provide some definition to the rear panel and break up the conservative shape a bit. Twin camera modules stick out from the rear surface. The individual lenses are rather small, perhaps the size of a pencil eraser. 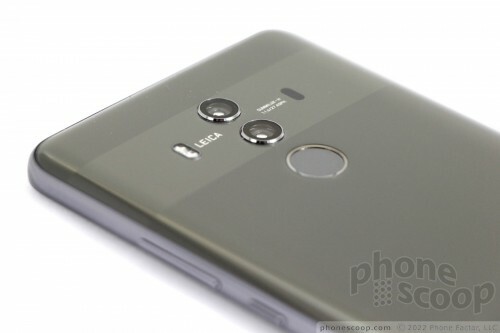 Huawei positioned the fingerprint reader just below the camera module. It's close enough that you might accidentally smudge the lower lens. The reader is indented and has a nice rim to make it stand out. I had no trouble finding or using it. The glass cannot be removed, and neither can the battery. 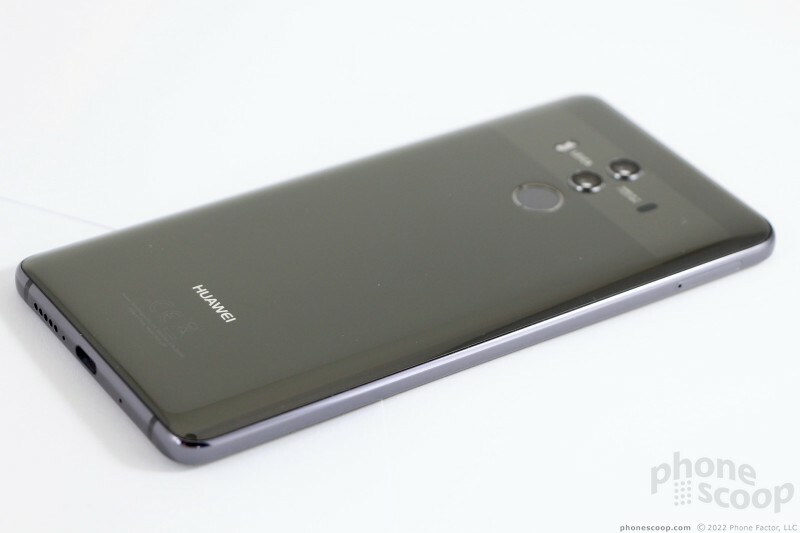 The Huawei Mate 10 Pro doesn't quite have the personality that some of its competitors do, but it's still a fine piece of hardware that anyone should be pleased to own. It's a well-made device and was clearly designed with care. The Mate 10 Pro has a 6-inch OLED display that uses the 2:1 aspect ratio with 2,160 by 1,080 pixels. As far as OLED panels go, I'm pleased with the 10 Pro's. 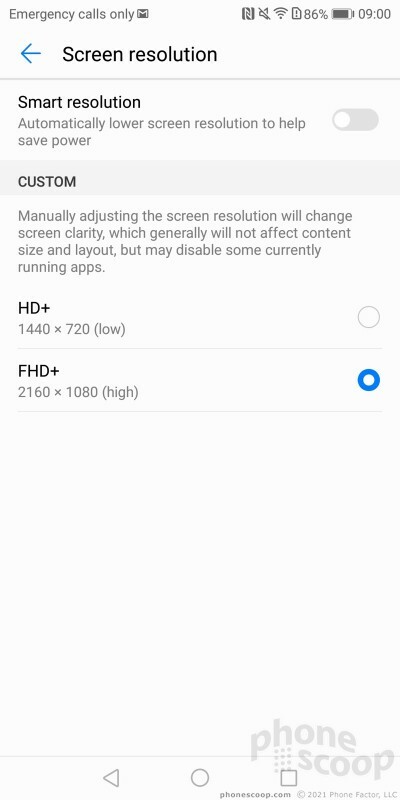 At 408ppi, pixel density is fine. Surely some will complain that it's not a 2K / quad HD screen, but I'm not that upset about it. The resolution is more than adequate for browsing the web, enjoying social media, and streaming YouTube videos. You won't be able to really enjoy VR, as it doesn't support Google Daydream for some reason, but the screen's resolution isn't quite enough for good quality VR, anyway. You have incredible control over the screen's behavior. 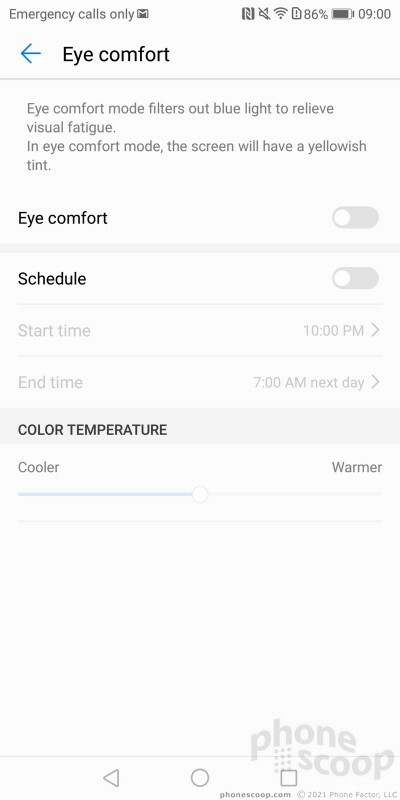 The Mate 10 Pro allows you to manually adjust brightness, color temperature, blue light, text/icon size, resolution, color modes (normal, vivid), and much more. If you don't like what you see, chances are you can change it. In all, the Mate 10 Pro has a screen that competes well with other devices in this class. The Mate 10 Pro has modest support for U.S. LTE Bands. It includes the core bands used by AT&T and T-Mobile (2, 4, 5, and 12), but not either of the carriers' newer bands (29 and 30 for AT&T; 66 and 71 for T-Mobile). That means you won't get the best service when the network is congested, nor will you get the best coverage in boonies with T-Mobile. I tested it on AT&T's network around NYC and found it ran well enough. The phone almost always remained connected to LTE 4G. I didn't see it drop to 3G at all while I tested it. That's a good start. The phone connected voice calls on the first attempt most of the time but did drop several calls when in a moving car. Data speeds were acceptable though not spectacular. The Mate 10 Pro was adept at loading Instagram stories, streaming Google Play Music, and my favorite YouTube channels. I've seen somewhat faster performance from phones that support AT&T's full set of LTE bands, but for an unlocked device, the Mate 10 Pro gets the job done. I was very pleased with call quality through the Mate 10 Pro. Calls sounded loud and clear in the earpiece, just the way I want them to sound. I easily tackled several calls while traversing the noisy streets of Manhattan and didn't miss a word. Clarity is very good, and voices have a generally warm presence via the earpiece. You can certainly take calls at home or the office with no worries. Those I spoke to through the phone said I sounded "right next door." The speakerphone does almost as well. Volume is solid for in-the-car calls and even in moderately noise spaces. Clarity was good most of the time, though you will notice some distortion if you turn the volume all the way up. Ringers and alerts are good enough, but could be better. The vibrate alert works really well. The Mate 10 Pro doesn't have stereo speakers, per se, but the earpiece and bottom-firing speaker do work together when you're listening to music or watching video. The earpiece spits out high frequencies while the bottom speaker pumps out low frequencies. It sounds fine when you hold the phone in portrait orientation, but it is obviously lopsided if you turn the phone on its side to watch a full screen video. Battery life is, in a word, insane. The Mate 10 Pro packs a huge 4,000 mAh battery that I was never able to drain fully. 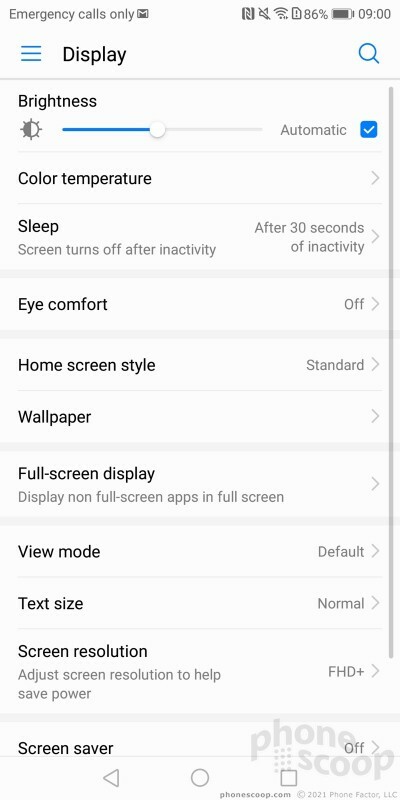 The phone easily pushed through an 18-hour day of intense use and still had 40% left. 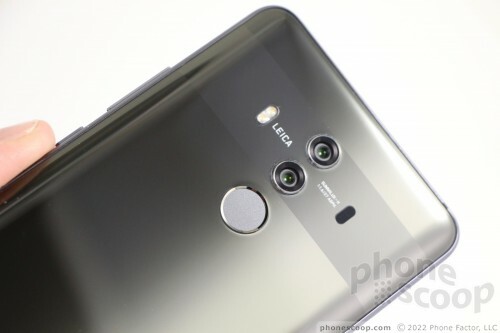 I used the Mate 10 Pro throughout a long day to read email, check my social feeds, take/post photos, shoot video, make calls, navigate, send messages, and much more. I ran out of juice long before the Mate 10 Pro did. If you use the phone only moderately, you might see as much as two days from the battery. It's that good. 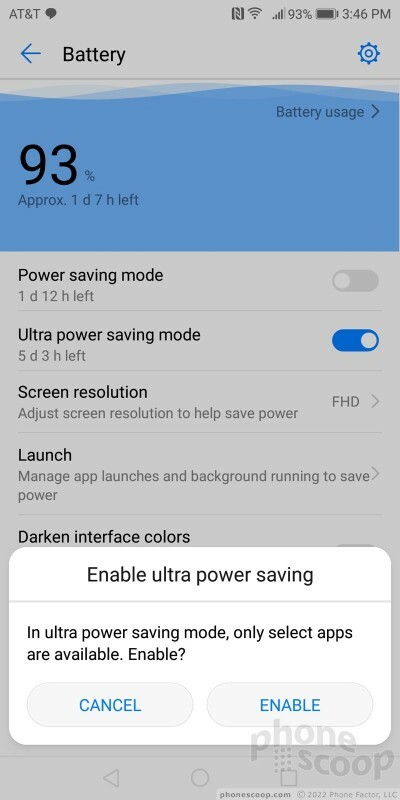 Battery saver tools are available in the settings menu, but you won't need them. 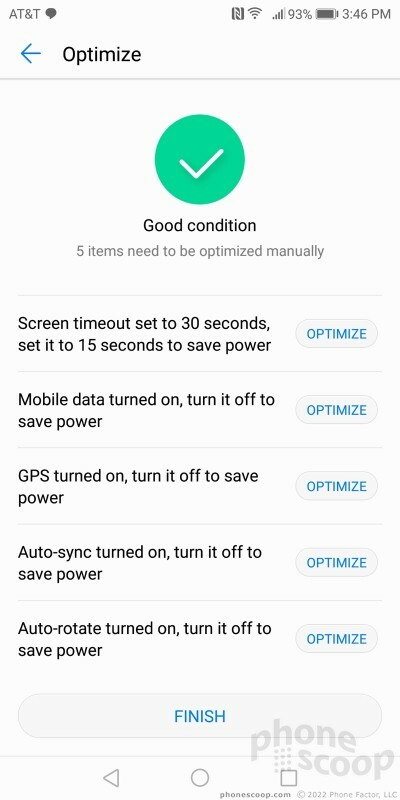 Like competing flagships, the Mate 10 Pro is a little too aggressive when it comes to power management. 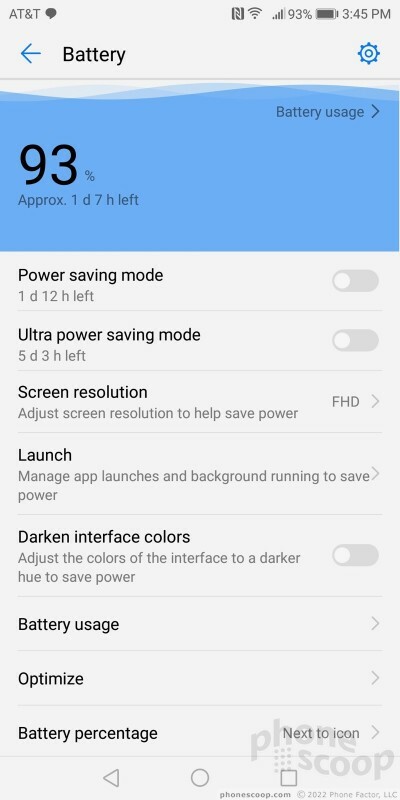 You'll see lots of alerts about apps draining your battery in the background. You can futz with these settings to find what works best for you. The Mate 10 Pro supports rapid charging via the included charger, but not wireless charging. That's a shame, as wireless charging is becoming table-stakes feature for today's flagships. The 10 Pro's secondary batch of radios all worked very well. Bluetooth was a cinch to use and the NFC radio helped me pair the 10 Pro with a wide array of Bluetooth accessories. I used the 10 Pro for several calls via my car's hands-free system and they sounded very good. Music had a rich sound when passed through a good pair of Bluetooth headphones. Google Maps and the 10 Pro's GPS radio were fine companions. The phone located me within seconds and was accurate to about 15 feet. That's about as good as it gets. Real-time navigation between points worked without fail. The WiFi was particularly speedy.